Find competitive quotes on outdoor advertising in Las Cruces! Home to New Mexico State University, Las Cruces is a great spot for outdoor advertising. 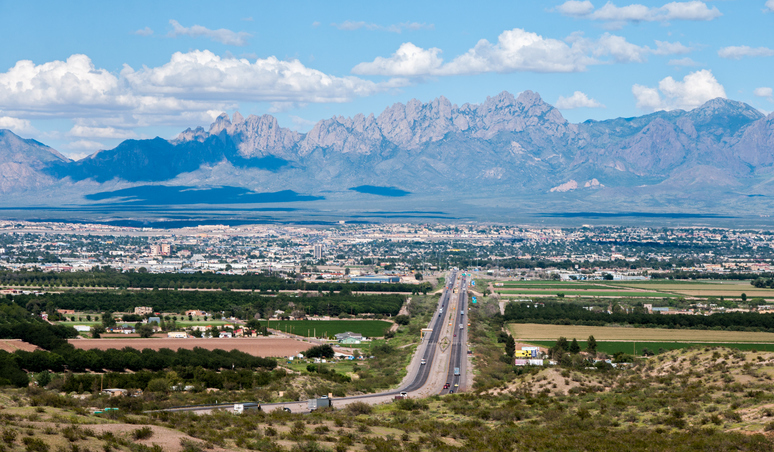 Las Cruces not only offers premium ad space along I-25 and I-10, but near popular locations including Mesilla Valley Mall and Museum of Nature & Science. Whether you’re looking to attract history buffs near New Mexico Farm and Ranch Heritage Museum or movie premiers near Telshor 12 – Allen Theatres, you can count on BillboardsIn to help you find competitively-priced outdoor advertising options. Find out more by selecting an ad format below to learn more. Or, start off the planning process by browsing BillboardsIn’s comprehensive database of out-of-home advertising options.